CottonWorks™ is the leading resource to help you product outstanding cotton products. 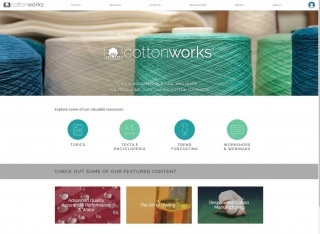 Create a free account and gain exclusive access to all CottonWorks™ has to offer. With hundreds of easily searchable resources, we’re your go-to textile tool for discovering what’s possible with cotton. CottonWorks™ is brought to you by Cotton Incorporated and the Importer Support Program of the Cotton Board, with the mission of increasing the demand for and profitability of cotton through research and promotion.